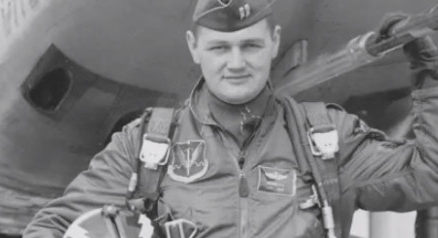 Former Air Force Lt. Col. Richard French claimed to be a head investigator of Project Blue Book in the 1950s. His main job was to debunk false UFO reports. French never thought to witness what seemed to him to be two extra-terrestrial beings doing some repairs on totally unknown craft. The now 83-year-old retired Air Force colonel testified about his former work as a UFO debunker in 1952 at the Citizen Hearing On Disclosure in Washington D.C. which had a panel of six ex-Congress members. At first, two UFOs were seen by several people off the coast of St. John. So, French was ordered by his superior to investigate the UFO sighting. When French got in the area of sighting, he saw approximately a hundred people standing around on the wharf and looking in amazement at the water including several policemen. French recalled that the coast had clear waters allowing them to view two round craft very clearly. He said that each craft had approximately 18 feet in diameter and around 3 feet thick. French remembered that the two mysterious craft were a couple of feet apart floating below the surface of the water, less than 20 feet from the shore. He added that he noticed two alien beings near the two ships, around 2-3 feet tall, very thin, light grey with long arms and two or three fingers. He further witnessed how the ships started to rise out of the water and accelerated for approximately 2,500 to 3,000 miles per hour after they reached the surface of the water. They disappeared but returned after approximately 20 minutes and nearly stopped before they submerged to the water again and the two extra-terrestrials were working something on the ships. After another around 20 minutes, the two craft departed together and slowly surfaced to the water before they accelerated again at very high speed. Since the job of French was to debunked UFO sightings, he just reported in the Blue Book that the incident only involved something that they did not know and did not directly say that there were two UFOs and two aliens seen.